You Will Love The Sun As Much As We Do! Power Up Now and Get Paid for the Next 21 Years! Photovoltaic (PV) technology utilises solar cells to convert sunlight directly into electricity. It is different from the solar thermal or solar water heating system which uses free heat from the sun to heat up water for domestic use. 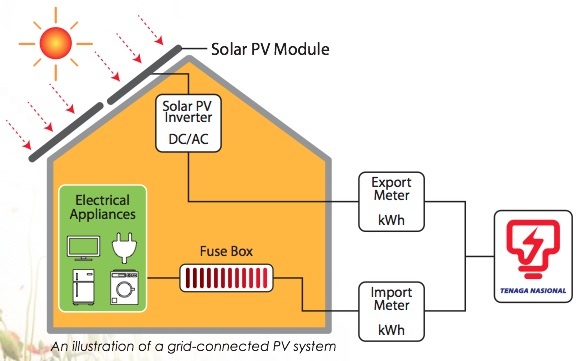 The term ‘Grid Connected’ pertains to a PV System that is connected and feeds electricity back directly to a large grid, for example, the local utility company or the national grid (Grid) that provides electricity to consumers.